During the last week in September 2007, we received the sad news of the death of David St.George at the age of 87. Although he had a wide range of interests, radio and electronics were his main passions. He had served his apprenticeship under Robert Watson Watt (later Sir), one of the early pioneers of radar and the experience gained was to prove valuable during the Second World War during which he served in the middle east. 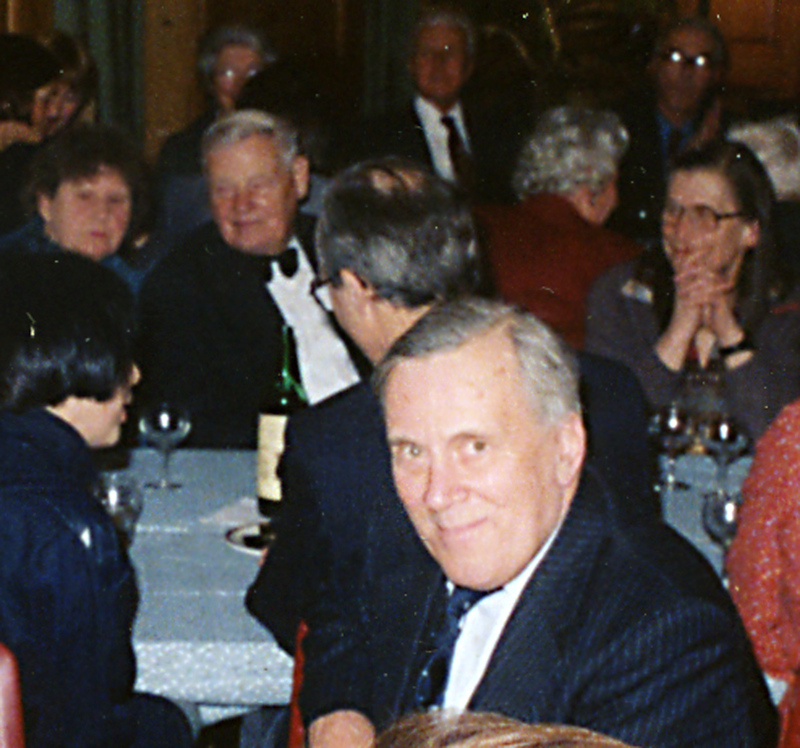 David was a long-standing member of the Society, having joined in 1959. He served on the Society's Council and was an assistant demonstrator at the Observatory for many years. It was at the Observatory that David's expertise with electronics was put to good use maintaining the electrical installation and supplying the Astro.Sec. with reconditioned computer monitors for his experiments with CCD imaging. In 1999, it was David who made the initial contact with the Cornish education department leading to our securing the use of Redruth College during the total Solar eclipse of that year. David was a devoted 'radio ham' and he was very involved with the Boy Scouts, his local Church, St. Jude's and his local community in Hampstead Garden Suburb. He also found time to pursue charitable work for the radiology department of the Royal Free Hospital and was a 'helper' and 'friend' at St. Paul's Cathedral David suffered from angina for some years and had to undergo cardiac by-pass surgery in his late 70's. He made a remarkable recovery and was soon to be found hauling the observatory dome around and eschewing any assistance. His funeral took place at the Golders Green Crematorium on Wednesday 3rd of October 2007 where his family, friends and members of the Society gathered to celebrate his long and active life. He will be sorely missed by his three sons Alastair, Graham and Kenneth, his four grandchildren and his many friends and acquaintances in the amateur radio and scientific communities.